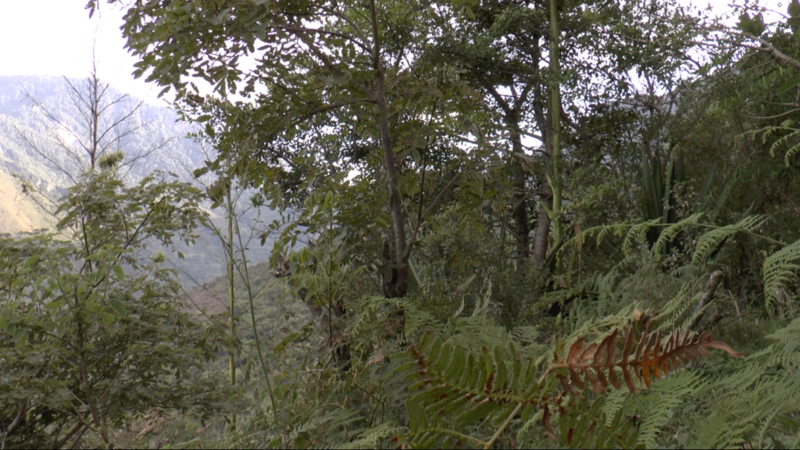 Colombia’s “mountains” have a long history of independence and statelessness. They represent more than just the mountains; in fact they represent the entire “periphery” in Colombia’s society. Many indigenous peoples, afro-colombian communities and refugees groups have emigrated to those places, trying to escape persecution from the colonial and neo-colonial powers. Some communities have established ways of living that are examples of alternative forms of organization and economy, following pacifist, ecological, gender-equality and non-capitalist ideals. But this kind of autonomy is fading away very quickly. An extractive economy is invading every non-reached place. So while the commodities extracted from these landscapes can travel around the world almost without barriers, the people themselves and their emancipatory ideas are marginalized and discriminated to a large extent. The aim of this artistic research is to explore and understand a few iconographic examples of this geographical space, to deconstruct the various meanings of their traveling materiality and how their significance changes with the different perspectives of diverse people. This space is understood as a “moving” entity and in that logic, the research extends from this “periphery” to the “core” regions of the big cities in Colombia and Germany, as an example for the global north, following in part the movement of the commodities but also a migratory movement. Through the exchange of narrations, filmic observations of the landscapes, workshops that could lead to collaborative performances, and interviews, the project aims to create a body of work that generates moments of communication between peoples in different places, always considering the interests of the diverse people involved. It will try to follow the links that those traveling places shape in a world that is tending to cultural and ethnic protectionism and where the creation of common discourses is very difficult, which could also mean undergoing situations of non-communication and break. Originally from a town in Colombia’s periphery, he has a story of migration first to the capital city of Colombia and then to Germany. He created numerous short movies, video installations and two middle-length movies based on artistic researches. He works with performative, participative and essayist approaches, his main thematic interests are migration, decolonization, economy and intersectionality in the arts field. He also works in the organization of workshops and events that deal with those topics. He is member of the collective Interflugs in Berlin, an autonomous organization for a critical study of the arts domiciled at the UDK Berlin and the Colombian political activist group Kolumbienkampagne Berlin (Colombian Campaign Berlin) that is part of the large Colombian network Congreso de los Pueblos (People’s Congress).